Goodman Furnace Prices: What's the Total Cost I Should Expect to Pay? The price costumers will pay for heating bills this winter depends on how they heat their home. The U.S. Energy Information Administration thinks the price of heating oil will go up a whopping 20 percent in the winter of 2018-19. Natural gas and electricity prices will also be going up, albeit not as much. The forecast calls for the cost of natural gas to go up by 5 percent and electricity by 3 percent. The majority of American homes stay warm through either electricity or natural gas. If you’re not one of them, now’s a great time to switch to a gas or electric furnace. When researching new furnaces, you’ll want to make sure to look at a few different models first, including Goodman furnaces. Read on to find out all you need to know about Goodman furnace prices. Before getting into the nitty-gritty of Goodman furnace pricing, it’s useful to know a bit more about the space Goodman furnaces occupy on the heating market. They aren’t known for being extremely high-end furnaces, but they do offer a fair amount of bang for your buck. Someone who wants the fanciest furnace on the market isn’t going to buy a Goodman. But Goodman does set themselves apart via the warranties they offer. They come with a minimum 20-year warranty, for starters, and some of the more expensive models come with lifetime warranties. You can also register your product online to make future repairs easier. A lifetime warranty means that if anything goes wrong with your furnace, you can get it repaired (assuming, of course, that repairs are possible). It doesn’t matter if the furnace got installed last year or 10 years ago; the warranty is still in effect. How much will you pay for a Goodman furnace? You can get the furnace itself for $700 or less, which is downright cheap compared to bigger name brands like Rheem and Trane that charge you more than $1,000 just for the equipment. But you’ll also need to think about furnace installation costs when calculating your Goodman heater price. A furnace is not something like a playhouse for your kid; you can’t grab a screwdriver and give it your best shot. Installing a Goodman furnace requires skill and precision. It can easily cost $2,000 or more to install a furnace right. You have to do it right the first time, or else you’re creating more work and hassle for yourself later. It’s worth calling around town and asking a few HVAC experts to provide estimates. 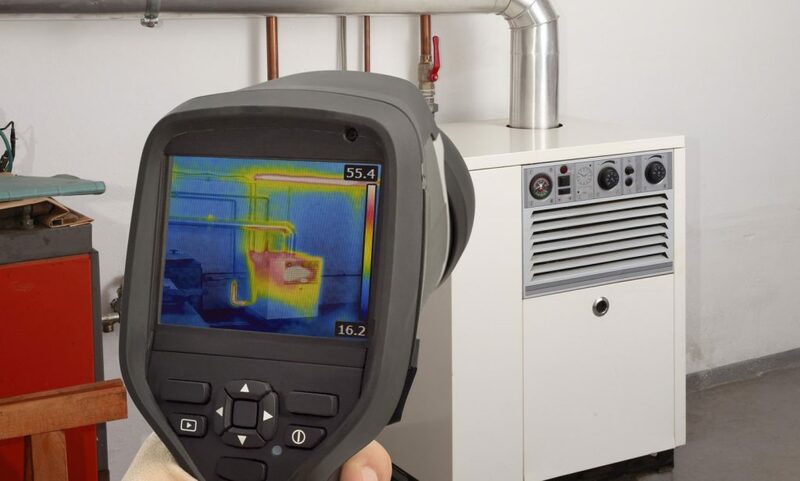 Estimates should be free, too, since it doesn’t take much for a heating contractor to take a look around and figure out a cost range for your particular home and heater. When you call and ask about Goodman furnace prices, you need to remember that a trustworthy heating contractor will be as transparent as possible. They won’t delay giving you a price estimate in hopes of wasting your time and making it hard for you find another installer before winter hits in full force. We’ve an authorized Goodman dealer with years of experience in the HVAC industry. Check out our equipment today and contact us to set up a free estimate.